Cook the pasta in salted boiling water for 8/10 mins (until al dente). Finely chop the tomatoes and olives and crumble the tuna. Dice the Petit Brie ILE DE FRANCE®. 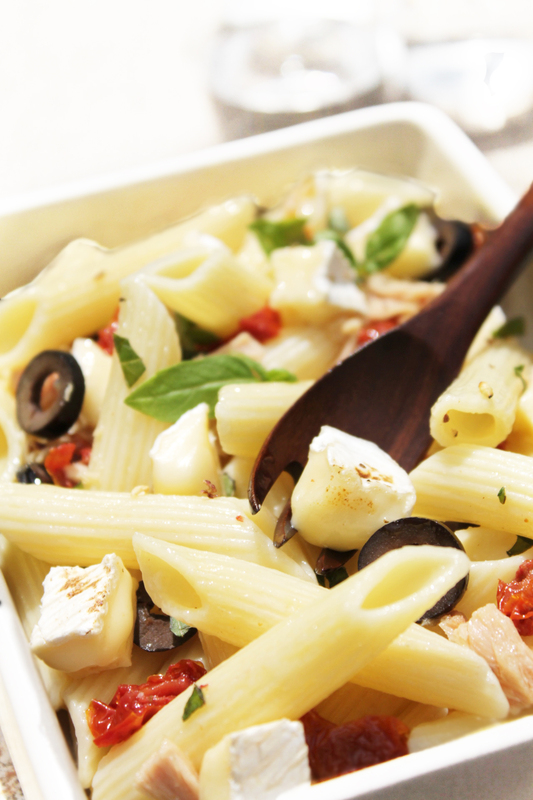 Mix the olive oil, vinegar, tomatoes, olives and tuna into the hot pasta. Finally, add the finely diced Petit Brie ILE DE FRANCE® and chopped basil. Wait a few moments to allow the diced Petit Brie ILE DE FRANCE® to melt before serving.